Each year, we celebrate our previous year and kick off our new year with an annual Kick Off Party. We forego the annual Christmas party (not because we are Scrooges, but because it’s such a busy time) and use this time to reflect on our previous year and get geared up for our upcoming year. 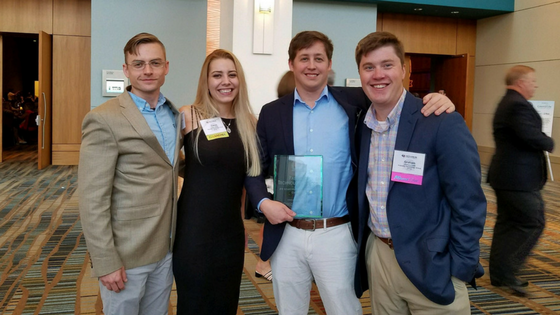 PTG has been fortunate enough to be named one of “The Best Places to Work” in South Carolina for four consecutive years (in the top 10 every year!) in a list put together by the South Carolina Chamber of Commerce and the Best Companies group. The process for making this list is largely dependent on the responses to an employee survey (a few dozen agree/disagree questions and a couple open ended questions) about the employee experience. I always enjoy getting the responses from the survey. It shows the areas where our team members think that we are doing a great job of making PTG a great place to work. Greenville, SC — Palmetto Technology Group (PTG) – an Office 365 Specialist and IT support company based in Greenville, SC– today announced it has renewed two of its Microsoft competencies for Cloud Productivity (Gold level) and Small and Midmarket Cloud Solutions (Gold level). PTG also earned two new competencies for Cloud Platform (Silver level) and Enterprise Mobility Management (Silver level). To earn these Microsoft Competencies, partners must pass a series of exams to demonstrate their expertise and submit numerous customer references. Each year, PTG celebrates our previous year and kicks off our current year in an annual “Kick Off” Party. It’s a great time to reflect on the previous year while also setting our sights on how best to serve our customers and our team members in the upcoming year. Traditionally, we have given away a few awards to recognize those who really went above and beyond in their role. 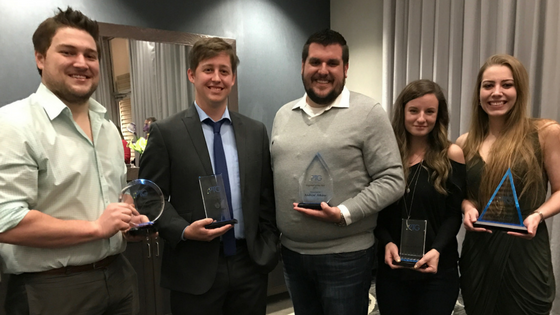 I wanted to take a few moments to share our award winners for 2016 with you. If you see them or talk to them on the phone, please tell them congratulations! 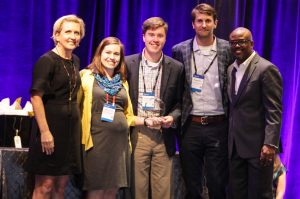 PTG, an outsourced IT company and Microsoft Partner, today announced it has been named Southeast Area Cloud Partner of the Year by Microsoft’s US Small and Mid-sized Business (SMB) Champions Club. The award recognizes the US SMB Champions Club partner who has demonstrated a commitment to Microsoft SMB Cloud business (Office 365, Azure, EMS and CRMOL) through consistent marketing of cloud services resulting in SMB customer adoptions of the Cloud solution set in Southeast Area. 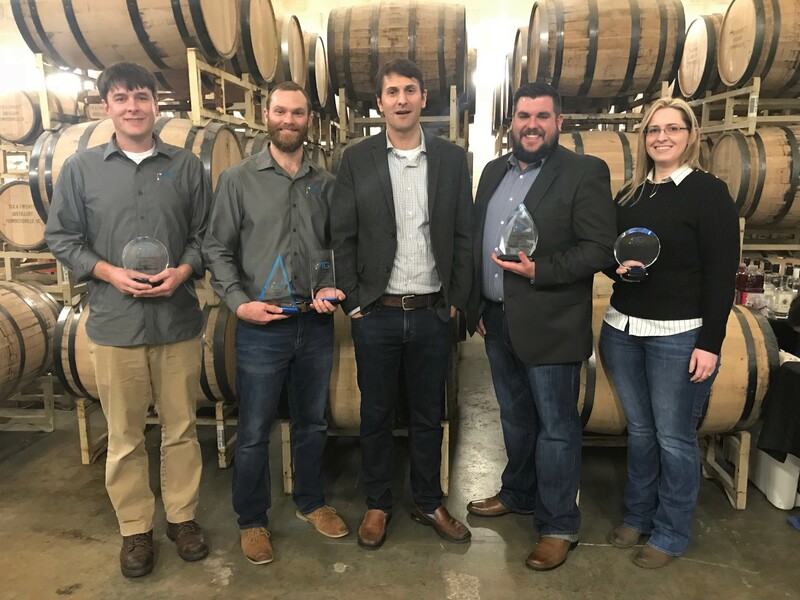 Members of the US SMB Champions Club have shown dedication to arming the small business community with the right technology and services they need to be successful.